One of the best things to do in the fall in New York is check out The Great Jack O’Lantern Blaze in Hudson Valley, New York. Trust us, it’s worth the trip. 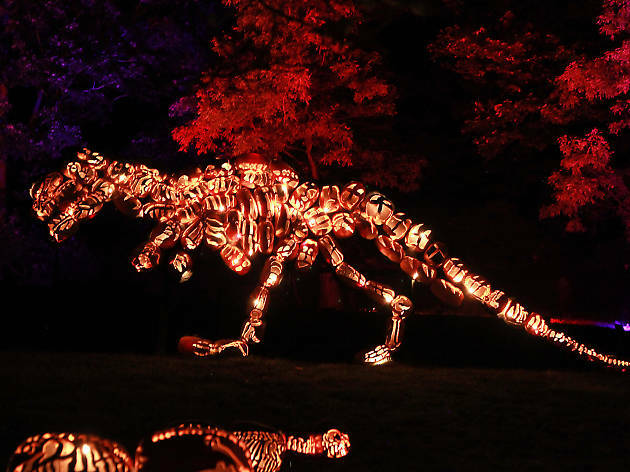 Witness an army of more than 7,000 glowing, intricately carved pumpkins shining along the riverside near Van Cortlandt Manor. This is the tristate area’s most spirited Halloween happening, and also one of the best fall day trips from NYC. Ogling pretty gourds isn’t the only draw. There are also "stargazing" opportunities inside the Pumpkin Planetarium, flying ghosts and a special appearance by Sleepy Hollow’s Headless Horseman. When you go, make sure to take a moment to admire all the lovely fall foliage upstate. 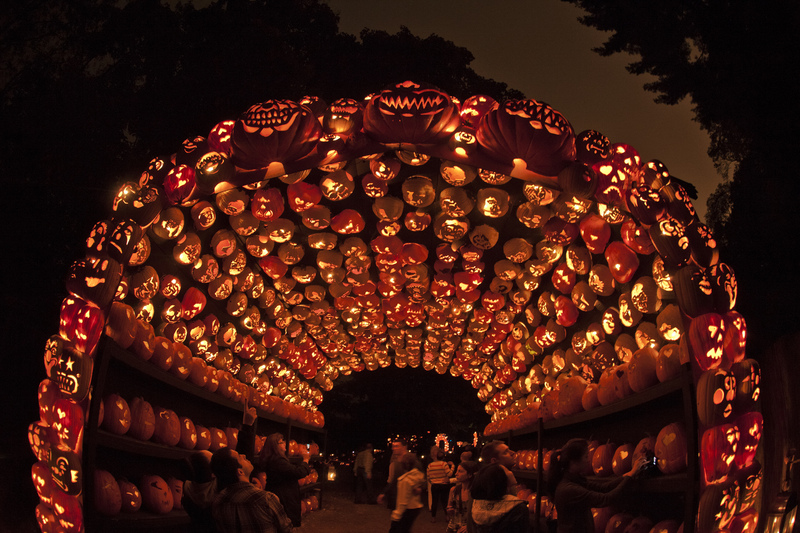 When is The Great Jack O’Lantern Blaze? The Great Jack O’Lantern Blaze is on-view for select dates during the week and on weekends. This year's event dates are September 28–November 24. The exact dates are Sept 28, 30, Oct 4-31, Nov 1-7, 7-11, 15-17 and 23-24. 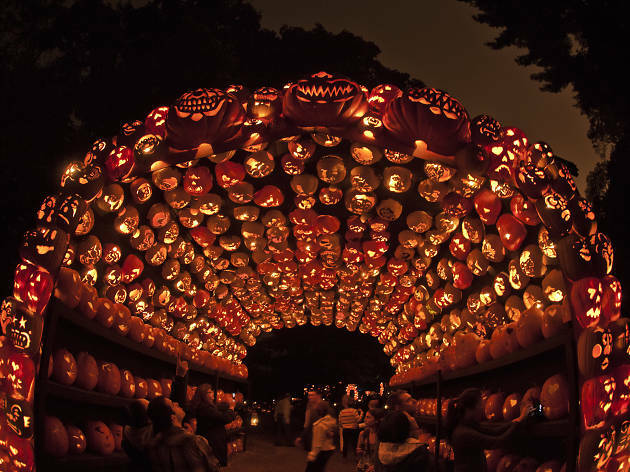 Where is The Great Jack O’Lantern Blaze? The electrifying affair is located at 525 S Riverside Ave, Croton-On-Hudson, NY. How do I get to The Great Jack O’Lantern Blaze? Take the Metro-North Hudson Line from Grand Central Terminal. Take the train to Croton-Harmon station (under an hour from Manhattan). Van Cortlandt Manor is only a five-minute cab ride or a 10-minute walk from the station. 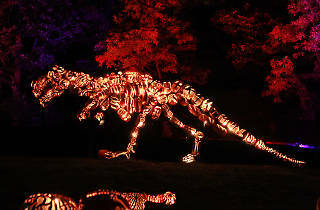 How much are tickets to The Great Jack O’Lantern Blaze? Adult tickets are $22 (Fri–Sat $27). Children 3-17 are $16 (Fri-Sat $20) and Hudson Valley Members or children under the age of three attend for free. 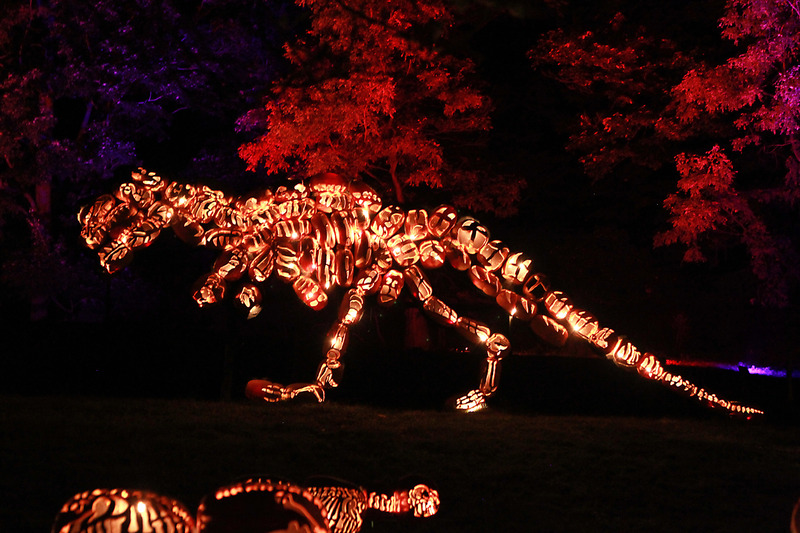 How do I get tickets to The Great Jack O’Lantern Blaze? You can see the full schedule and purchase tickets here. Note: Advanced tickets are required. Tickets for the general public go on sale Tuesday, September 4, 2018. Pro tip: This event sells out quickly, so make sure to nab your tickets, like, yesterday. Tickets can not be refunded, but you are able to sell, donate and give them away, etc. How long will The Great Jack O’Lantern Blaze experience take? Most people venture through the Blaze in 90-minutes, but factor in the amount of time you'll spend taking photos and videos (which is allowed). Just try not to be a photo hog—some experiences are meant to be seen, not photographed. 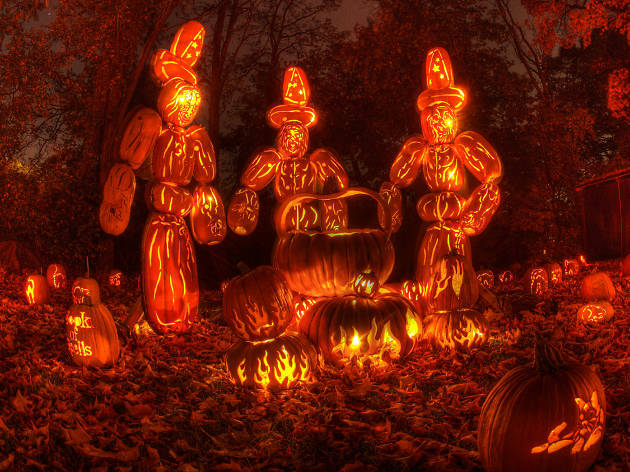 Is there food and drink available at The Great Jack O’Lantern Blaze? Hell, yes! There's plenty of snacks and treats to munch on. Before you enter the Blaze experience, there are tents set up selling pumpkin beer by Captain Lawrence Brewing Company, hot cocoa, cider and various autumnal delights like candy apples, pumpkin-spice treats, freshly-popped popcorn and more.